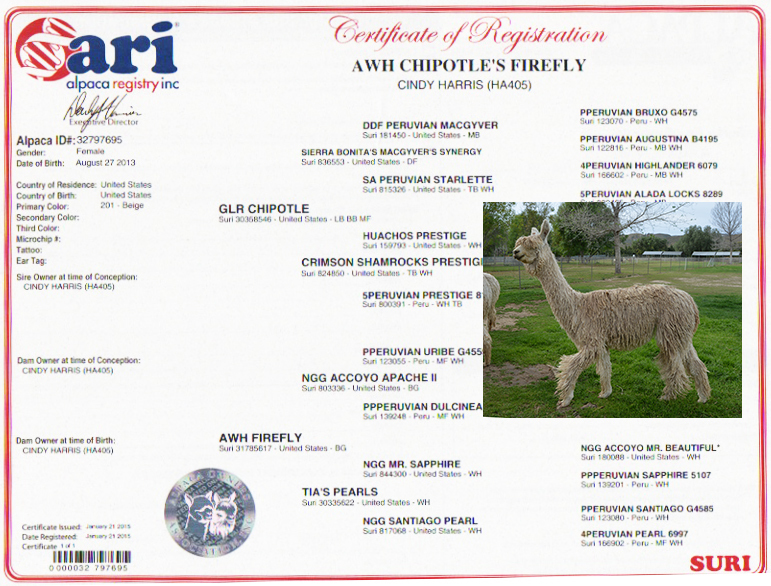 GLR Chipotle is, as his name suggests, a Hot Number! 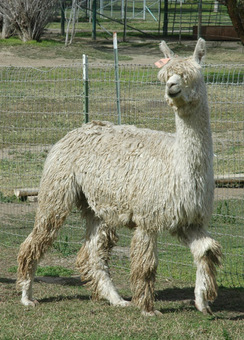 He is a deep brown with fringes of gray around his blanket, reminiscent of his sire, MacGyver's Synergy. His lock structure and luster remain outstanding, even into his current fleece, and his density surpassed our fondest hopes. His first fleece weighed in at 17 lb at 20 months! Great Lakes Ranch sure does a great job with their breeding program!